If your child has a favorite teacher at school, he or she can enter Crayola's Thank a Teacher contest! 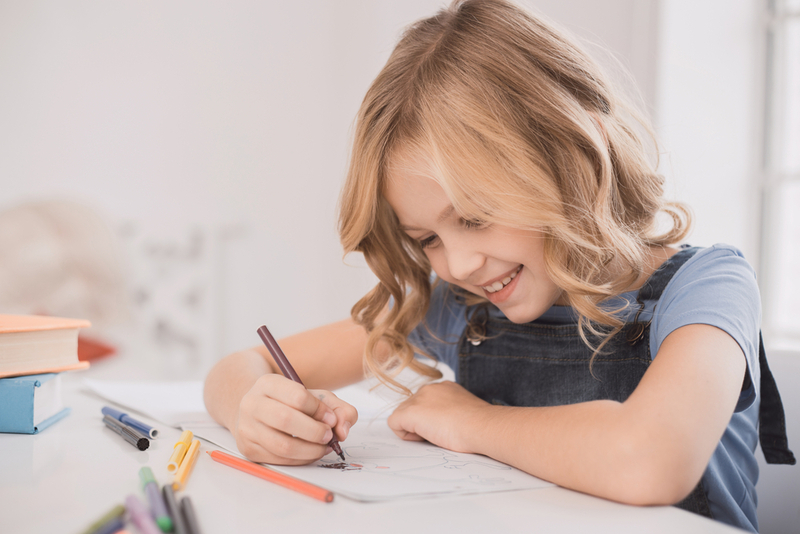 Kids just need to create a thank-you for their favorite educator and upload it to the Crayola website for a chance to win big! There are 40 total prize packages, with five packages awarded each week. Each prize package consists of one $500 gift card awarded to the nominator (the child) and one $500 gift card awarded to the nominee (the teacher). This money will be awarded in the form of pre-paid debit cards. There are also 9 finalist prize packages, each of which consists of a $10,000 classroom makeover! It also includes a "CreatED" Professional Development Program (estimated retail value of $9,000), a one-year supply of Crayola products awarded to the nominee's school (estimated retail value of $500), a $1,000 gift card for the nominee's school, a $1,000 gift card awarded to the nominator (student), and a $1,000 gift card for the nominee (teacher). If that's not enough, there is also the possibility to be a grand prize winner, in which case you get everything above, as well as the student's submitted entry will be featured on Crayola packaging! The Crayola Thank a Teacher promotion began on July 1st at midnight and will continue until 11:49 PM Eastern Time on August 25, so you still have plenty of time to get creative with your thank-you note. Entrants must be at least 13-years-old to enter, and entries should be in English and include a hand-drawn thank you message. Entries should not contain any computer-generated graphics/text, vulgar or offensive material, any copyrighted material such as song lyrics, or promote any political agenda. The teacher you nominate must be an active full or part-time teacher employed within the United States in a public, private, or charter school at the elementary, middle, junior, or high school level. Winners will be notified by phone or email on or around September 17, 2018. If you're the lucky winner, you'll need to respond within three business days to receive your prize, otherwise it may be forfeited. You can read all of the official rules here, and you can enter the contest by clicking here! Remember, Crayola judges will be looking for thank-yous that stand out for creativity, originality, inspiration, and discovery. Good luck! While you're waiting for your prize money, check out this top tech under $25!